An international dance artist – Manca Pavli is constantly touring the world, teaching and performing Tribal style belly dance. She is based in Ljubljana, Slovenia, where she also runs her own dance and yoga school and directs her dance company. For many years, Manca was the teaching assistant of Rachel Brice at the annual Belly Dance Yoga Retreat in Costa Rica. Manca credits Rachel as the most important influence on her own teaching techniques and dance style. In San Francisco, where she trained extensively, she got certified in Suhaila Salimpour Level 2, in American Tribal Style® (ATS®) and also deeply nurtured her love of yoga. After a decade of practice, she also became a certified yoga teacher in 2015. 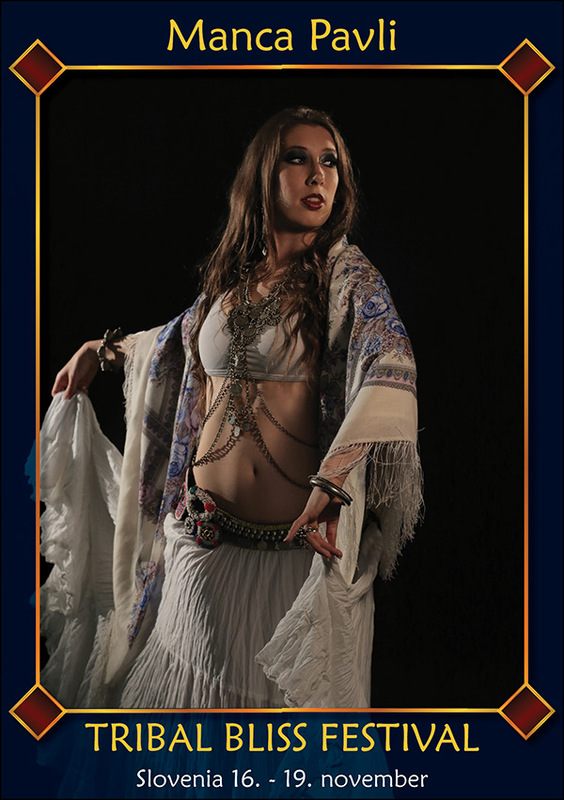 In fall 2009 she joined the Bellydance Superstars as a guest Tribal dancer on their European tour of England, France and Morocco. Manca is the artistic director and choreographer of the Amaya Dance Company which last toured Europe with the Infusion Project show and the director of Tribal Bliss festival in Ljubljana. She also often joines her dance passion with her study at the department of anthropology in Ljubljana, where she researched history, dance and culture.